Come Home to Creekwood Apartment Homes! 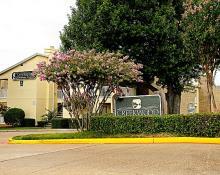 Your Search Is Over...Welcome Home to Creekwood Apartments in DeSoto, TX. 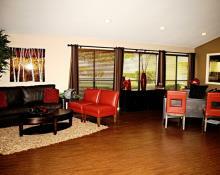 This community boast one, two and three bedroom apartment homes. Take advantage of the community's amenities including a Sparkling Pool, Playground, Business Center, Internet Cafe with Coffee Bar. A spacious community with all the comforts of home. 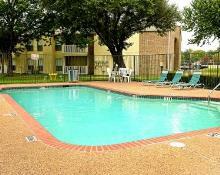 Creekwood Apartments offers peaceful living on beautifully landscaped grounds. At Creekwood, you'll be far enough away from the hustle and bustle of the city, yet conveniently located so that you're just minutes from Downtown Dallas, DeSoto Town Center, Uptown Village at Cedar Hill AND 3 major highways, I-20, I-35 and Highway 67 where you can find multiple dining and shopping opportunities. We offer 6 and 12 month lease terms. We accept dogs under 25 lbs with a $350.00 pet fee non-refundable. We have doggie stations at our community for your convenience!